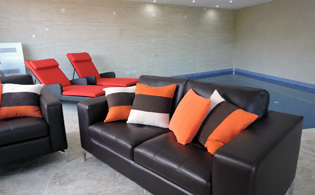 As from January 2016, we also offer a heated indoor pool for the winter months and a games room to enjoy all the year round. 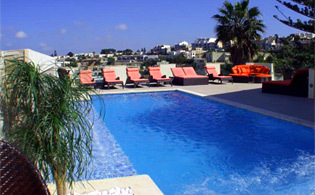 Situated in the beautiful Santa Maria Estate in Mellieha. 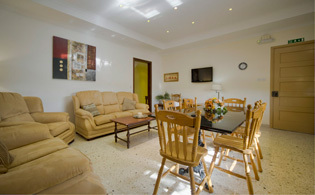 Ringway Villa/Apartments consists of 3 apartments. 1 x2 bedroom and 2 x3 bedroom apartments. 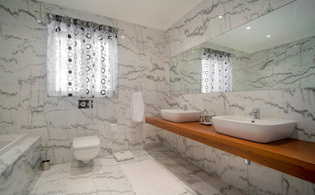 The 2 bedroom and 1 of the 3 bedroom apartments interconnect. The other 3 bedroom apartment is groundfloor. 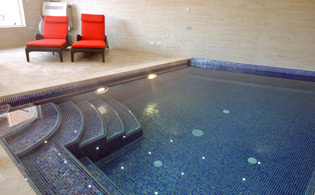 This fantastic villa accommodates up to 16 persons. 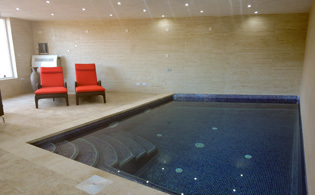 The villa can be rented as a whole villa with private pool or as individual apartments sharing the pool. 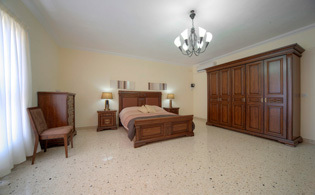 Air Conditon (optional) in every bedroom operated by pre paid cards available from the owner on arrival in the villa. 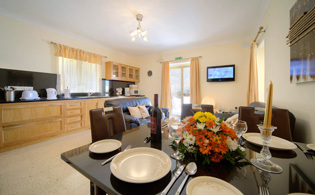 It is ideal for large groups of friends or families holidaying together. Please note: From the ground floor apartment to the pool and pool deck there are about 15 steps. 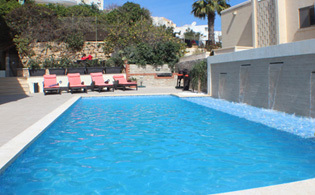 The nearest beach is Mellieha Bay, approximately 5 minutes drive or 1.5km. It is within walking distance to all shops, bars, restaurants, etc. Excellent public transport services link Mellieha to the rest of the island. One can find plenty of private parking outside/within the villa, although a car is not a necessity.